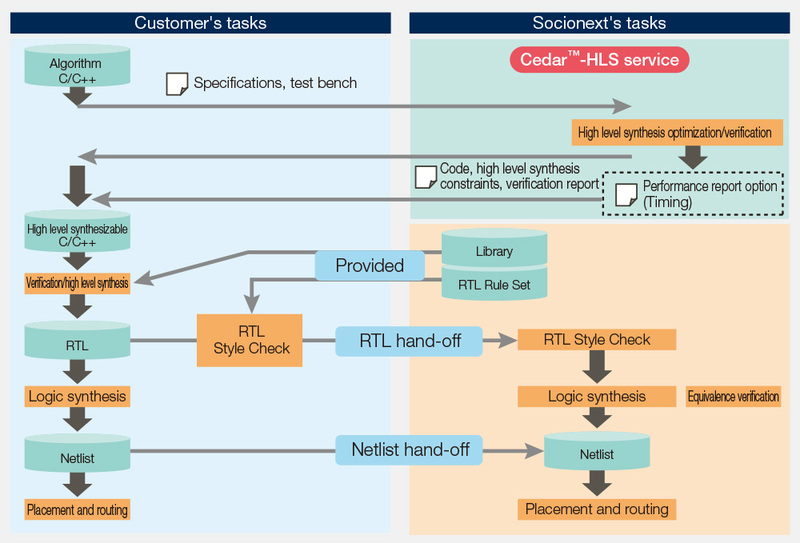 High level synthesis Support Service Cedar™-HLS | Socionext Inc. The high-level synthesis support service rewrites source code and provides a library that can be synthesized with that code. This tunes your source code into a high-level language (SystemC/C/C++) for adaption to the applicable process technology. After checking the consistency between the high-level synthesis results and the process technology to be used, we provide you with rewritten source code and the like.